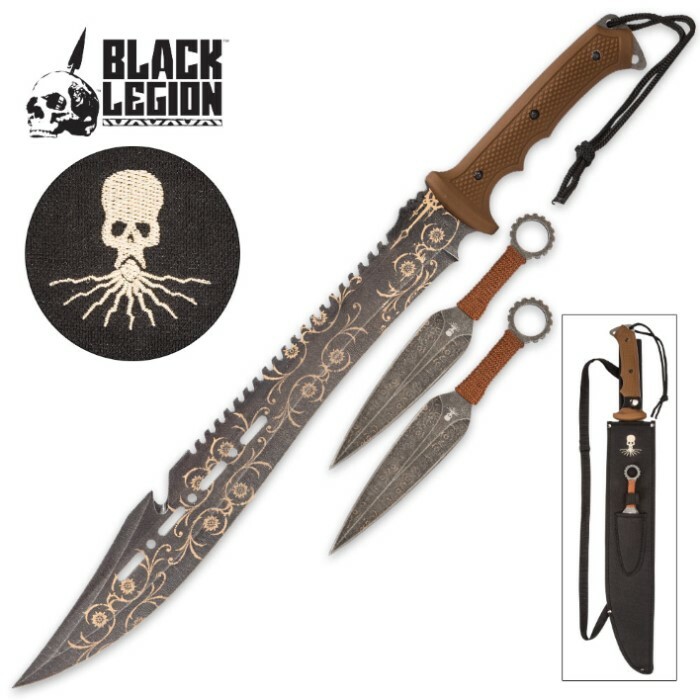 Our Explorer Machete and Throwing Knives Set from Black Legion makes an awesome addition to Steampunk attire or home décor! It features stonewashed stainless steel blades with a Steampunk inspired design. The machete has a comfortable ABS handle with a rubberized finish and the throwers have brown cord wrapped handles. 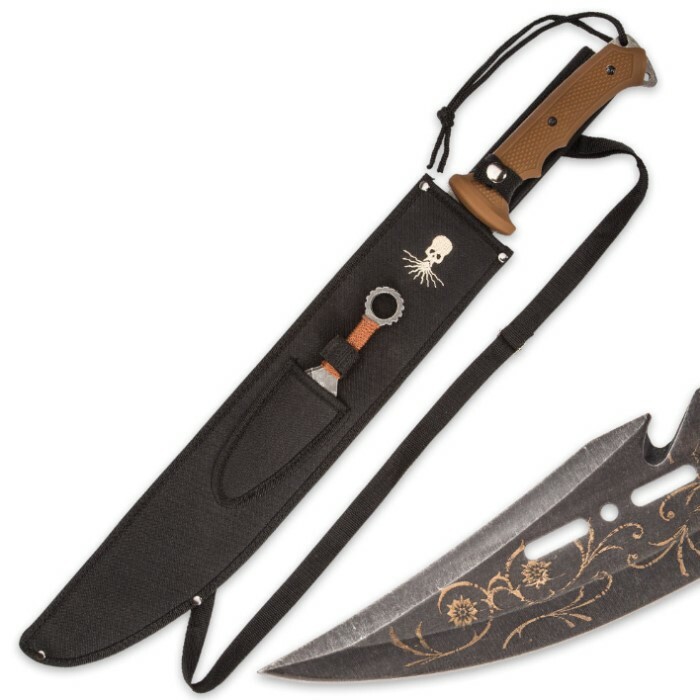 A black nylon belt sheath with a shoulder strap for ease of carry holds both the machete and the throwing knives. If you want a fantasy set that has just the right Steampunk look, you’ve found it! This machete is huge! Sharp! Pretty cool looking too. The throwing knives are bigger than I expected. Don't know if I'll ever use this to cut anything with, but it's definitely ready for use. Black Legion never lets me down. Thanks BudK! Nice utilitarian tool hiking outdoors briush an saplings great camp tool !!! 5. Stars:::::;;;;;;"""""""!!!!! Very cool looking set, as long as you only look at it from one side! Both machete and throwers only have gold swirl design on one side! Blades aren't sharp but throwers do have a nice point on them. Machete does have a nice weight to it, may be a great blade after some stone work.